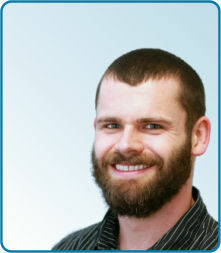 Joel has worked as an RMT in a variety of clinical settings throughout BC since 2007, and is a graduate of the 3000 hour program at the Okanagan Valley College of Massage Therapy. Treatment and prevention of dysfunction related to athletic activity has been his main focus. Working as a Massage Therapist for professional soccer and football teams, in a heliskiing lodge, and the Vancouver 2010 Winter Olympics has fine tuned this focus. Volunteering at events such as triathlons, bike races, PGABC golf tournaments and the World Police and Fire Games rounds out his treatment experience away from the clinic. In clinical practice, he has treated many car accident or work related injuries, as well as dysfunction related to overuse, or soft tissue imbalances. Over the last few years, Joel has given several presentations for various running groups on the importance of proper running habits and the benefits of stretching and a proper warmup and cooldown. Joel has also taught a couples' massage workshop. Joel has taken post graduate courses for advanced myofascial release, craniosacral therapy, membrane and diaphragm release and muscle energy technique. On his free time Joel loves staying active. He is a kitesurfer, snowboarder, soccer player, mountain biker, and also enjoys standup paddle boarding, hiking, climbing, camping, and pretty much anything outdoors. Having experienced many sports injuries himself, he understands the importance of proper rehabilitation and the desire to return to regular activities as soon as possible. Whether you are a weekend warrior, pro athlete, office worker, labourer, or retiree, each treatment is individually tailored to your needs. Treatments include orthopaedic assessment, manual hands on therapy as well as homecare advice to help improve your overall wellness. Massage therapy treatments are a great way to help relieve discomfort, as well as help recognize weakness or lack of flexibility. This promotes improvement of your personal abilities so you can perform to your fullest potential.